The Seychelles Tourism Board (STB) Chief Executive, Sherin Francis provided an update of the tourism industry’s performance for the first half of 2018, during STB's 2018 mid-year marketing meeting at the Eden Bleu Hotel. According to the National Bureau of Statistics, 161,870 tourists from across the globe have disembarked in Seychelles up to June 17, 2018 compared to 158,910 in 2017. This represents a 2 percent growth in visitor arrivals, which is slightly below STB’s predictions. 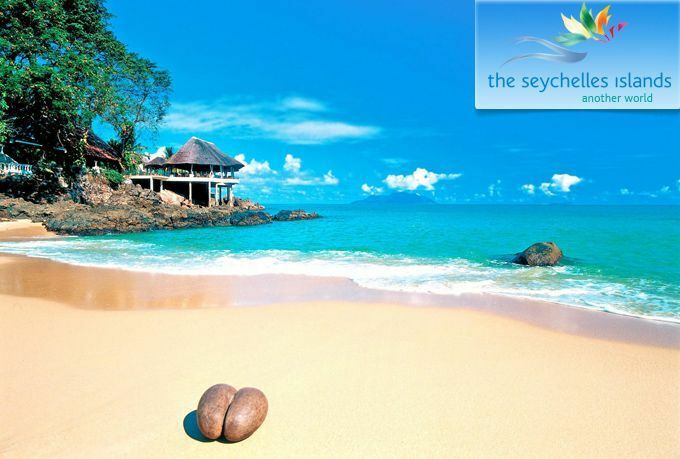 Europe remains the main tourism market for Seychelles showing an overall increase of 6 percent. Germany, France, UK & Northern Ireland as well as the United Arab Emirates, Italy and India are among the leading markets so far. Austria is showing the biggest increase of 48 %. UK & Northern Ireland is showing an increase of 14%, Germany 8%, Italy 7%, and France 3%. However, there’s been decline in the number of visitors on some markets including Russia, Spain & Portugal as well as Switzerland that have recorded a drop of 18, 10 and 9 percent respectively. In the case of Russia, the decline has been attributed to the ongoing FIFA World Cup and a drop in the value of its currency. South Africa, which remains the main market on the African continent with 5,160 visitors so far, has also recorded a decrease of 16 percent compared to the same period in 2017. When addressing those present, Mrs Francis said Seychelles’ tourism industry has fared well for the first half of 2018 in spite of the challenges, acknowledging the encouraging increase in tourism earnings. “Indeed, we are particularly pleased to note that the Central Bank of Seychelles has registered a 2 billion rupees’ growth in their record for tourism revenue, which represents a 41% increase compared to the same period last year. It is our intention to further understand this figure so that it can gives us an indication where our strength lies,” said Mrs. Francis. She noted that STB’s overall strategy is to strengthen and keep on growing the core markets, while urging trade partners to formulate and seek opportunities within the smaller fringe markets. Mrs. Francis also stated that the Seychelles Tourism Board is seriously focusing on the importance of gathering market intelligence data. She has assured the trade partners that the Strategic Planning and Market intelligence department is actively working towards the gathering of data to guide the organization in decision making. This year’s meeting was also attended by the new minister for Tourism, Civil Aviation, Ports and Marine, Didier Dogley, who took this opportunity to meet the STB overseas representatives. Minister Dogley commended the STB team for their contribution towards the development and growth of the tourism industry. He reiterated his commitment to working alongside STB and trade partners, to ensure sustainable tourism in Seychelles. He also commented on the importance of being innovative yet authentic in our approach towards prospective markets and existing ones. “My answer to all this is, whatever we do, we need to ensure there is sustainability. Without sustainable tourism we will be repeating the same mistakes many island nations have made and are now trying to correct them,” said Minister Dogley. The mid-year marketing meeting was also an opportunity for trade partners to be presented with an update of various activities being conducted to promote Seychelles as a tourist destination across the globe. The STB representatives from the various overseas offices and representation companies present took the opportunity to inform their local partners, ranging from local Destination Management Companies, tour operators, hotel establishment among others in the tourism industry, with the latest developments taking place on the various markets. They also discussed the various marketing strategies & plans they will be implementing in the second half of 2018, as well as in 2019. Blogger 20 Ιουλίου 2018 - 3:04 π.μ.